These La Jolie Ronde Spanish Pupil Activity Books For Year 5 are designed to complement the La Jolie Ronde Scheme of Work for Spanish. In an easy-to-use A4 workbook format, these are a nice optional extra to the Year 5 sections in the scheme of work that will allow your pupils to put their skills into practice They are not intended to be used as a standalone resource and are NOT photocopiable. 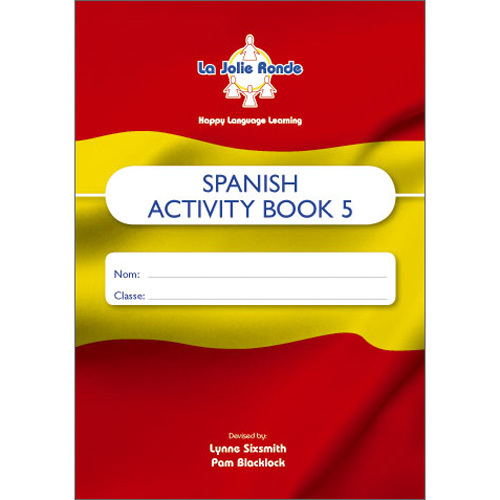 La Jolie Ronde Spanish Pupil Activity Books For Year 5 are intended for use with pupils in year 5 (age 9-10) who are in their third year of learning Spanish, but could also be used by older beginners who are following the Year 5 scheme.